UN DESA’s Statistics Division, in collaboration with the Economic and Social Commission for Western Asia (ESCWA), the United Nations Environment Programme, and the European Environment Agency (EEA) is organizing a Workshop on Environment Statistics and Information for Sustainable Development in the Arab Region. The Workshop will be held from 12 to 16 November 2018 at the ESCWA Headquarters in Beirut, Lebanon and will gather participants from the National Statistical Offices (NSOs) and Ministries of Environment of 19 countries of the Arab region. Several other international and inter-governmental organizations are expected to participate in the Workshop, including the Food and Agriculture Organization of the United Nations (FAO), the United Nations Framework Convention on Climate Change (UNFCCC), the United Nations University (UNU), the Center for Environment and Development for the Arab Region and Europe (CEDARE), and the European Topic Centre for Inland, Coastal and Marine Water (ETC/ICM). The Workshop is part of a series of events of DESA/SD’s regular programme of technical cooperation to support the implementation of the Framework for the Development of Environment Statistics (FDES 2013) in member states. It follows the United Nations Statistical Commission’s endorsement in 2013 of the revised FDES 2013 as the framework for strengthening environment statistics programmes in countries. The Workshop will focus on, inter alia, building national capacities for the implementation of the FDES 2013 and introduce participants to the Environment Statistics Self-Assessment Tool (ESSAT). The Workshop will also provide training on selected topics of environment statistics, in particular on waste and water statistics, as well on environmentally-related SDG indicators. Climate change statistics will also be addressed at the Workshop given the mandate from the 47th session of the Statistical Commission that DESA/SD develop a global set of climate change statistics and indicators. The Workshop aims at providing statisticians from NSOs and experts from Ministries of Environment (or equivalent institutions) in the region with detailed knowledge and understanding of approaches to environment statistics, thus allowing them to identify gaps and deficiencies in environmental data, and contribute to the production of regular, accurate and reliable environment statistics that can allow developing environmental indicators and accounts relevant to policy making and SDGs monitoring. The Workshop content is very relevant to the SDGs since many of the environment statistics to be discussed are necessary for the measurement of countries’ progress toward achieving the Goals. The implementation of the FDES 2013 will help countries address the increasing demand for integrated information in support of integrated policies in the follow-up to Rio+20 and the 2030 Agenda for Sustainable Development through the strengthening of environmental statistics and indicators. The workshop is part of a series of events of DESA/SD’s regular programme of technical cooperation to support the implementation of the FDES 2013 in member states. It follows the United Nations Statistical Commission’s endorsement in 2013 of the revised FDES 2013 as the framework for strengthening environment statistics programmes in countries. The Commission also recognized the FDES 2013 as a useful tool in the context of Sustainable Development Goals (SDGs) and the Post-2015 Development Agenda. The FDES 2013 is a multi-purpose conceptual and statistical framework which marks out the scope of environment statistics. It provides an organizing structure to guide the collection and compilation of environment statistics at the national level and is very relevant for policy analysis and decision making. UN DESA’s Statistics Division is organizing the second regional workshop within the UN Development Account project “Supporting Developing Countries Measure Progress Towards Achieving a Green Economy” in cooperation with the Economic Commission for Latin America and the Caribbean (ECLAC). The workshop will take place in Lima, Peru on 21-24 April 2015, and is co-organized by the statistical office of Peru - INEI. This workshop will primarily be a technical workshop that covers topics identified as needing attention and guidance in the first part of the project. Recognizing the importance of high quality statistics and their effective use in promoting evidence-based socio-economic policies and achieving internationally agreed goals, the project aims to enhance the national statistical systems’ capacity of its pilot countries to produce good quality, timely and reliable statistics and indicators to inform about progress towards achieving a green economy in the context of sustainable development. The contents of each of the fields cover the following: general introduction to the theme; main frameworks and international recommendations covering these fields; internationally agreed definitions and metadata for selected statistics underlying green economy indicators; and detailed description and compilation methods for selected indicators from the reference green economy indicators list of the project. The workshop will also finalize the discussion on the direct technical assistance to the pilot countries that will take place in the months following this workshop. 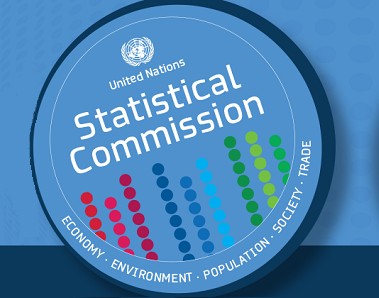 The United Nations Statistics Division (UNSD), in collaboration with the Economic Commission of Africa, is organizing a Workshop on Environment Statistics for the francophone Central African countries which will take place in Yaounde, Cameroon from 5 to 9 December 2011. The main objectives of the Workshop are to: (a) adopt a list of environmental statistics and indicators for the Central African region for national and regional reporting; (b) review methodologies for the ECOWAS regional core set of environmental indicators for use in this region; (c) develop a way forward for a draft regional programme on environment statistics; (d) train participants from national statistical offices and environmental ministries/agencies on basic concepts, methods and best practices in environment statistics; and (e) provide a forum for exchange of information on the status of national environment statistics. The United Nations Statistics Division, in collaboration with the United Nations Environment Programme and the Commission of the Economic Community of West African States (ECOWAS), is organizing a Workshop on Environment Statistics at the ECOWAS Commission headquarters in Abuja, Nigeria for about forty-one participants from national statistical offices and environmental ministries/agencies from the ECOWAS member states. The main objectives of the Workshop are to: (a) adopt a list of environmental statistics and indicators for the ECOWAS region for national and regional reporting based on the African regional list of environmental statistics and indicators agreed upon at the UNSD/UNEP/ECA Workshop on Environment Statistics in July 2007; (b) review draft methodologies for the set of indicators agreed upon at the UNSD/UNEP/ECA Workshop on Environment Statistics in July 2007; (c) review the draft ECOWAS regional programme on environment statistics; (d) train participants from national statistical offices and environmental ministries/agencies on basic concepts, methods and best practices in environment statistics; (e) provide a forum for exchange of information on the status of national environment statistics; and (f) enhance the capacity of statisticians in developing countries to develop and improve their capabilities in environment statistics. The Workshop will cover statistics on freshwater resources and their use, marine resources, land use and land degradation, forests, biodiversity, air emissions and air quality; waste; natural disasters and environmental health, based on the UNSD/UNEP Questionnaire on Environment Statistics and other training/methodological material. TUNSD, in collaboration with ECOWAS, executed a project entitled “Strengthening Statistical Capacity-building in Support of the Millennium Development Goals (MDGs) in the Region of the Economic Community of West African States”, which main objective was to strengthen the national statistical systems in the 15 countries of the ECOWAS region in support of the MDGs as well as in statistical fields such as energy and environment statistics. As part of the follow-up to the project, ECOWAS is organizing an Expert Group Meeting on Energy and Environment Statistics in collaboration with UNSD to be held in Abuja in August. The main purpose of the meeting is to discuss and finalize strategic frameworks for strengthening capacity in the development and institutionalization of energy and environment statistics in the ECOWAS region. Experts from national statistical offices and energy/environment ministries/agencies in the ECOWAS region will participate in the meeting. The strategic frameworks for energy and environment statistics include the objectives, actions and outputs of long-term programmes of energy and environment statistics and demonstrate the transition from a project to established programmes, hence implying sustainability of the UNSD/ECOWAS project. The outputs of the meeting will be presented for approval to the ECOWAS Steering Committee meeting to be held on 28 August 2006. The workshop is organized and hosted by The Planning Council of Qatar. Experts from the statistical offices and other governmental agencies of the GCC countries are to attend the meeting. The workshop is to overview the activities of the United Nations Statistics Division with special emphasis on energy and environment statistics and support to build and increase capacities to improve energy and environment statistics and indicators. Also it is to discuss environment statistics and environmental impact assessment, frameworks, concepts and definitions, significance of legal and institutional frameworks and overview the annual questionnaires. Furthermore, it is to provide a forum for exchanges of information on the status of the national energy and environment statistics and to support establishing a network of energy and environment statisticians and other experts in the GCC countries.